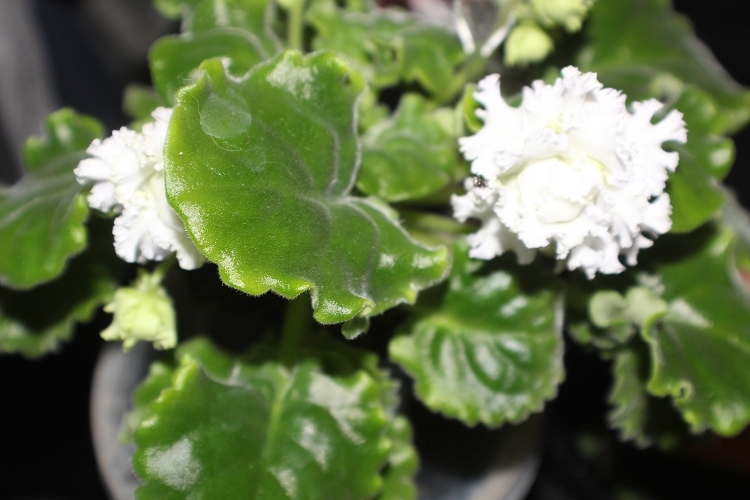 Frilly double white blooms with green edges. Medium green standard foliage. An absolutely beautiful plant that, unfortunately, does not appear as described by hybridizer. Still a wonderful plant by any name or description.